Selling computers parts, packages, builds and upgrades is a profitable business today because almost every home these days owns a PC, laptop or a similar device. From time to time, folks can be seen looking for a new PC component upgrade, computer parts to power-up their rig, new laptop for work and study and more. And because it’s a demanding business, you’ll have a lot of competition. That means you can’t just slack-off and wait for customers to come, you have to do your best to make your business better than theirs and persuade potential customers to come to you and convince them that you have better products and services and with the use of POS systems for computer stores. Providing better products means you must have a definitive source of your supplies. Also, make sure that all of your stocks are in good condition and is always handled with care. That part is easy to do, but what about the services? One way to improve your services is to provide a great way of doing transactions. You must handle things faster and more efficient. How can you do that? It’s so simple; all you need to do is to use POS Systems for computer stores. 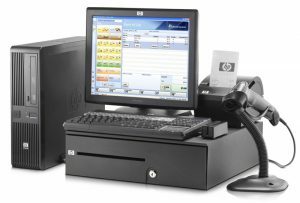 What can point of sale systems for computer stores do? There are so many things that these automated computer systems can do. One of the most important and most useful thing that they can do is that they can track everything, from sales, trends, incoming stocks, remaining items, SKU, price, brand and more. What more could you ask for? If you want to get your very own POS Systems for computer stores, you can always contact us via 1-888-405-8706.